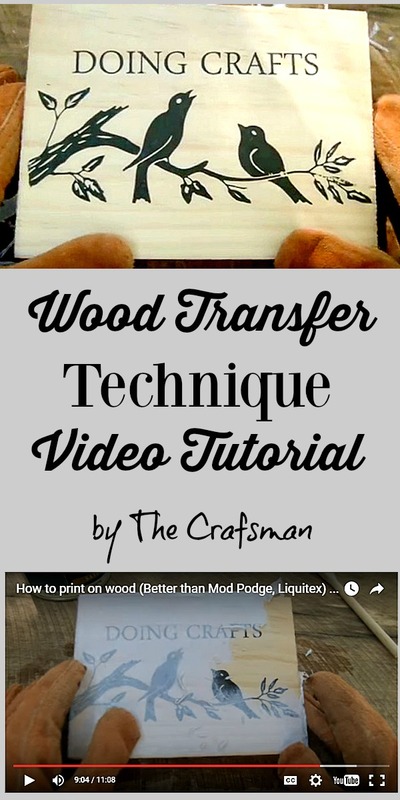 Today’s reader feature is this great new method of How to Transfer Photos to Wood. The Crafsman has come up with a secret ingredient to get quick results in this transfer process! You can check out his awesome tutorial below, and be sure to subscribe to his YouTube channel. For his above project, he used the awesome bird graphic. Thank you, Crafsman, for introducing this method to us! To learn about some other great Transfer Methods and Techniques, visit the Transfer Methods Page. « Victorian Sledding Image – Charming! Thanks for sharing, love his presentation… he is cool! I’m glad you liked it! Be sure and follow him on You Tube Julie for more of his techniques! 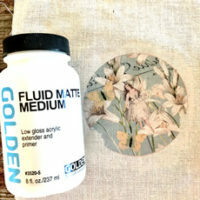 Love this tutorial, he’s like the Bob Ross for crafters! Thank you for sharing. Yes, he is! Great comparison Siggie! Thank you so much for this and for sharing the way…this is just awesome and such an easy way to transfer graphics. I love it. You’re welcome! I hope you give it a try! And be sure and subscribe to the Crafs Man Youtube channel! Hey Karen i have outdoor mod podge that seals for the elements do you think i could use that as a top coat even if i use the poly I the bottom? Your site it’s amazing! I’m a volunteer who helps with our local history museum’s gift shop. This technique will enable us to create beautiful, authentic looking signage for the shop. I’m thinking we could manufacture some as well with great quotes and have them available for purchase! Thank you and the Crafsman for an empowering craft tip! Great video! Thank you for sharing this method with us. I watched his video, subscribed and wrote him. It looked easy and fun. I am going to get some wood and get busy right away. Yes, it does look fun doesn’t Judi?! Let us know how your project turns out! 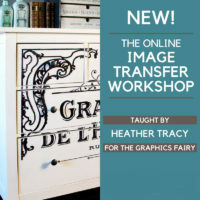 LOVED CRAFS MAN TUTORIAL ON TRANSFERRRING IMAGES TO WOOD! SLOW ENOUGH TO FOLLOW DIRECTIONS, FAST ENOUGH TO KEEP UP WITH, AND WONDERFUL RESULTS!! I’m glad you liked his video Mare! I just wanted to send a big THANK YOU to Allyson, Karen, and the kind folks at The Graphics Fairy for featuring my video tutorial! And THANK YOU to everyone who has commented, liked the video, and subscribed. Y’all are a bigger encouragement than you might realize! Thank you! Yay!! You’re welcome CrafsMan!! Thanks for the shout out in your awesome video! I liked his style . Reminds me of happy Bob Ross! Thanks for sharing Karen. You’re welcome Crystal! Hope you’re doing well! TheCrafsMan is my new hero – I could listen to him all day long! This is the most fun I’ve had watching a crafting video in quite some time. You, sir, have a new subscriber, and I’m eagerly awaiting further adventures! Bravo. Loved your presentation! You speak slowly, distinctly, and with a slight southern phrasing. You are also easy to follow. I love it. You have another subscriber and a pin on my Pinterest site. Loved the CraftsMan’s presentation! Enjoyed listening to his explanation …. going to follow him on Youtube. Hi , I’m Pat, new and happy to find your site. I have a large dinning room table, legs painted antique white. What I would like to do is have positive words on back of chairs ( ie, kindness…etc.) and two sayings on the longer portion of the table. I want to do it in script but was hoping I could get rub on transfers made of what I want. Can you help me? Hi Pat, It sounds like a lovely idea! I’m afraid I don’t sell rub ons, I offer free printable transfers and then you use a transfer method, like the video above to apply them. None of mine say things like you are looking for though, mine are mostly French businesses, like Cafe and Chocolat etc. I hope you can find what you’re looking for! Craftsman that was a great tutorial! Thank you so much for sharing! I had been looking for something like this, something that didn’t take much time and didn’t have a lot of different materials that I had to use and something that wasn’t confusing to figure out. I greatly appreciate it! I am going to follow you as well because you definitely have my curiosity going!